Following on from our previous US events and a blazing tour of the UK and Europe, we're now venturing north. 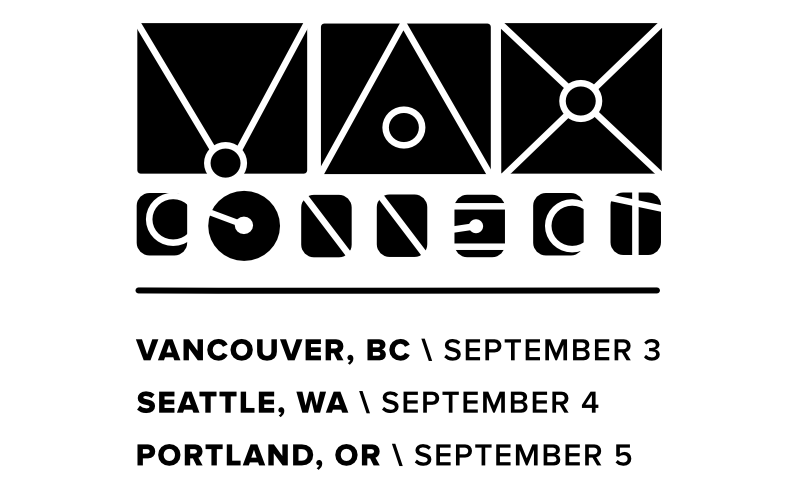 This time we are headed to the pacific north-west, visiting old friends, making new ones, and sharing our love of Max 7 and all its creative possibilities. Whether you're a seasoned user or have only thought about downloading our 30-day demo, we want to hang out with you and talk about Max. Come for some swag, linger for refreshments, and stay for the people. How do we register for the event - in particular, the Vancouver one? How do we register for Portland? The events are open to the public without registration. Space will be limited, so be sure to arrive on time and I hope to see you there!